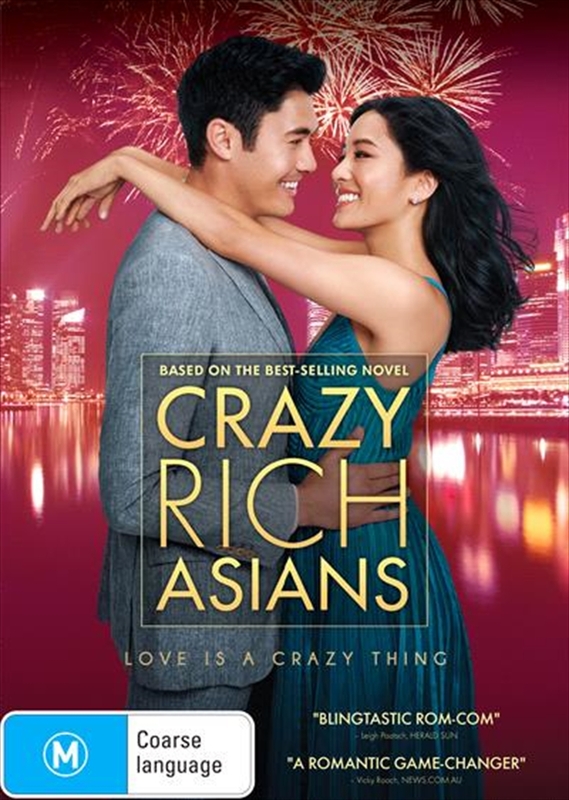 Crazy Rich Asians follows native New Yorker Rachel Chu (Constance Wu) as she accompanies her longtime boyfriend, Nick Young (Henry Golding), to his best friends wedding in Singapore. Excited about visiting Asia for the first time but nervous about meeting Nicks family, Rachel is unprepared to learn that Nick has neglected to mention a few key details about his life. It turns out that he is not only the scion of one of the countrys wealthiest families but also one of its most sought-after bachelors. Being on Nicks arm puts a target on Rachels back, with jealous socialites and, worse, Nicks own disapproving mother (Michelle Yeoh) taking aim. And it soon becomes clear that while money cant buy love, it can definitely complicate things.